Can Mainframe Use Really Grow? Mainframe is on the rise as part of a modern multi-cloud approach to IT. Just like the Arizona Ranger in Marty Robbins’ classic song “Big Iron,” organizations today are winning thanks to the speed and accuracy of new zSeries mainframes running z/OS, Linux and Java. The modern mainframe offers unmatched security, cost savings, availability, reliability and reduced environmental impact in the datacenter and as part of a multi-cloud environment. Mainframe never went away, but the platform hasn’t received much attention in the era of digital transformation, cloud, and devops. 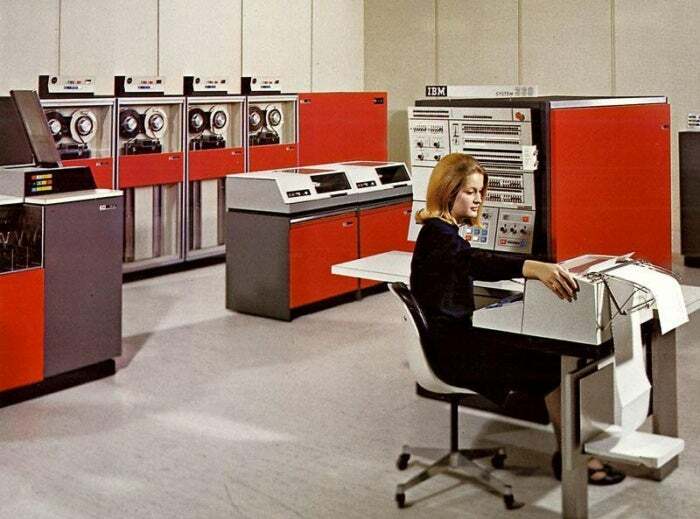 IT’s best kept secret is that mainframe use is growing. The platform has found its place in the multi-cloud world. A 2017 survey of mainframe usage shows growth in MIPS (the common measurement for mainframe workloads) in the previous year and expected growth in the next year for 71% of large shops surveyed (more than 10,000 MIPS) and half of all respondents. In January 2018, IBM’s Q4 earning results show Z series mainframe sales are up 71% year-over-year for the quarter, thanks to the new z14 platform that was launched in 2017. Mainframe platforms are used by +80% of the world’s largest airlines, banks, insurance companies, and retailers – and it is a system well-suited to quickly and securely handle the billions of daily transactions occurring in today’s digital economy. Beyond improvements in speed and security, the mainframe now supports technology like containers, APIs, Java, Linux, and on-demand service models. Whether Java is run on Linux, or inside CICS, this capability improves integration and helps IT organizations find the right talent to work on business-critical applications. Linux is often run on the mainframe today due to certain cost advantages. Support for technologies like APIs, Microservices, and SOAs enable mainframes to communicate with Web services, making the mainframe more useful for new services and applications. This effectively brings the reliability and security of the mainframe to devices via the web and mobile apps. Mainframe-as-a-Service (MaaS) can offer the power of mainframe through IaaS, PaaS, and SaaS offerings. MaaS can consist of self-service on-demand access, pooling of resources, and automated elasticity – much like a public cloud service. Recently Docker announced support for IBM Z (via Linux), which means the benefits of container technology – such as swift application deployment – can be had with the performance of the Z platform. Docker containers let an organization run the same app on any environment – whether a mainframe, public cloud, or x86 on-premises server. According to a recent study from IDC, the benefits of mainframe are numerous and significant. The business value of mainframe is highlighted in three critical areas: business productivity, IT staff productivity, and IT infrastructure cost reductions. In the study, IDC found that nearly all organizations are finding value in the modern mainframe through reduced costs and improved operational efficiency – often achieved through improved business agility and performance. The most important benefit of the new IBM Z platform must be its security features. The IBM Z includes proprietary ASIC on-chip hardware that’s dedicated specifically for cryptographic processes, which enables all-encompassing encryption. IBM Z keeps data always encrypted except when that data is being processed. Even then, the data is only decrypted during computations before it is encrypted again. Blockchain applications on the mainframe could prove to be the next frontier for IBM Z. IBM Z systems are optimal for private and public blockchains as they offer faster response times and greater throughput compare with x86 systems. Z systems support blockchain API layers, smart contracts, cryptographic protocols, shared replicated ledgers, and consensus algorithms – making z Linux a prime choice for blockchain peer nodes. Investing in Z for blockchain also reduces the cost of getting stuck with outdated single purpose hardware in the event it becomes obsolete. IBM has been working hard to bring machine learning and AI frameworks to the mainframe. Apache SparkML, TensorFlow, and languages like Scala and Python are now supported on Z. Self-learning models can be applied to big data held on a mainframe without the security risks that would be inherent in migrating that data off of the mainframe for processing. Thus, the power, speed, and security of the mainframe can be used for AI-driven innovation. The key to integrating mainframe technology with a multi-cloud environment is to use an outcomes-based approach. Organizations should use the systems and platforms that are the right fit, for the right workload, at the right time while maintaining flexibility for agile application changes and increasing demand. Using a hybrid infrastructure to harness the power of mainframe for critical workloads, along with public and private cloud – whether hosted, on-premises, or both – often results in the best business outcomes.